Who could object to a flower festival? Britta Johnston and her aunt Elin are delighted that their Portland floral boutique is part of the city’s Rose Festival, which draws thousands to the Pacific Northwest for dragon boat races, fireworks, and other attractions—capped off by a big parade. They’re building a float that’s sure to rock the judge’s boat . . . until a gang of angry protestors shows up. The group, who call themselves Dark Fusion, are decidedly not into flower power, and they want to take down the system . . . including the upcoming extravaganza. Then their leader is strangled with a garland of violets—and Britta finds the body. 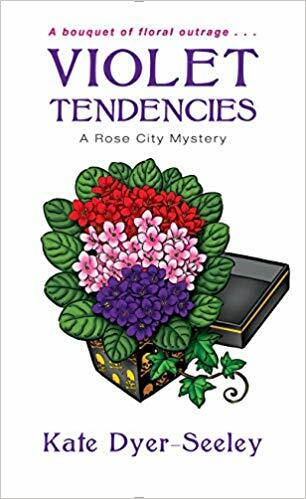 With tensions running high and so much at stake, there are plenty of suspects, from the Grand Marshal to a longtime volunteer to a former Rose Queen. But before Britta and Elin can stem the violence, the case is going to get even more explosive . 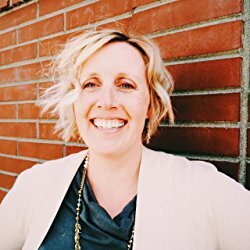 . .
Kate Dyer-Seeley aka Ellie Alexander writes multiple mystery series, all with a Pacific Northwest touch. She lives in the PNW with her husband and son, where you can find her hitting the trail, at an artisan coffee shop, or at her favorite pub. Better yet—at all three. Sensational Succulents—Succulents are a wonderful and hard-to-kill option for indoor displays and container gardens. Start with a shallow dish. Get creative. You can use everything from a traditional terra-cotta pot to a hollowed-out piece of wood, or a clear glass terrarium. Next fill three quarters of your container with potting soil. Then spread a thin layer of pea-sized gravel on the top. Blend the soil and gravel with your hands and add water. Mix thoroughly and begin arranging your plants. Position the largest plant on one side of the container. Cluster remaining plants based on size and shape. Finish by sprinkling more pea-gravel to cover any of the potting soil mix. Allow soil to dry out completely before watering again. Watering should be minimal. Elin and Britta use the guideline of watering succulents once a month in the fall and winter and once a week in the spring and summer. of your design. Then press flowers and organic material on by hand. Repeat the process until your design is filled in. Display on a deck, against a fence, or use as a backdrop for a party. Depending on outdoor temperatures and the type of flowers you use, your “float” should last a week or more. fooled by their dreamy pink color. Nothing about these wines is cloyingly sweet. Oregon and Washington rosés are vibrant, dry wines with notes of nectarine, peach, strawberry, and herbs. These crisp, luscious wines make for a perfect alfresco glass. Britta recommends that you serve your rosé chilled and with a gorgeous vase of fresh-cut, single-stemmed, pale pink Aphrodite roses. The fragrant, delicate rose scent will enhance your wine-sipping experience.